Direct Communications will become the first major internet service provider in Idaho to offer 100 Mbps service to residential customers, when they roll out a 100Mb package to customers starting this month. Fiber Optic Cable means more speed. These unprecedented speeds have been made possible by the expansion of Direct Communications fiber-to-the-home service, which the company began installing in 2006 to a limited number of new homes, where it made more sense to install new optic fiber cable rather than copper lines. However, over the past two years, Directcom has begun a systematic upgrade of all the lines in their telephone exchange areas, replacing aging copper lines with new fiber optic cable all the way to individual customer homes. 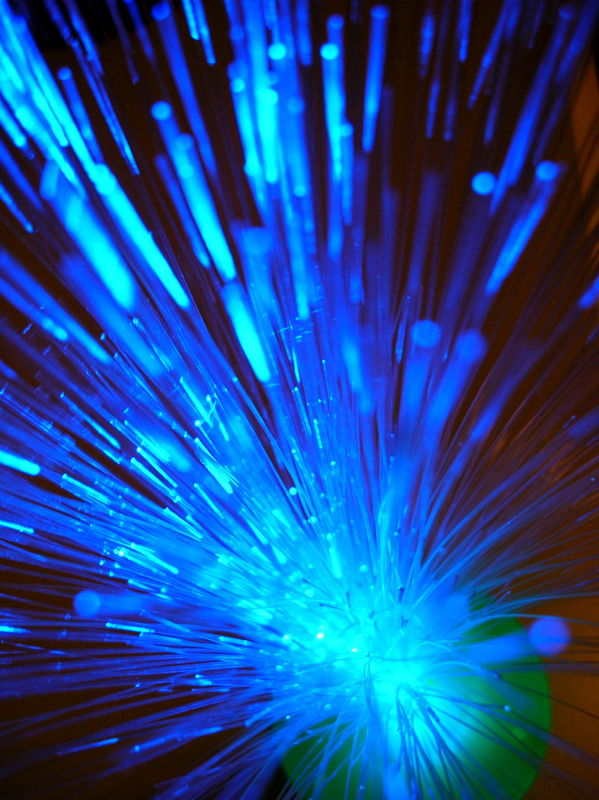 Once the fiber is in place, there is unlimited potential for more speed. 100Mb is about as much as most modern consumer-grade electronics equipment can handle. This spring, Direct Communications engineers completed the upgrade of Arbon Valley from traditional copper telephone lines to Fiber-to-the-Home, enabling every resident in Arbon to receive broadband access. The company’s fiber to the home rollout in Arbon began in the summer of 2009, and since then, Directcom crews have been working around the clock, laying fiber optic cable to all of the homes in the Arbon Valley. Even the very remote homes, from those miles up in the mountains to down the valley, can now receive better high-speed internet service than is available in most cities in the USA. The company began with Arbon because this exchange area had always been the most difficult to serve with traditional DSL over copper, and thus had the fewest broadband subscribers. Direct Communications buried 158 miles of fiber optic cable in Arbon Valley, bringing fiber to about 90 homes. 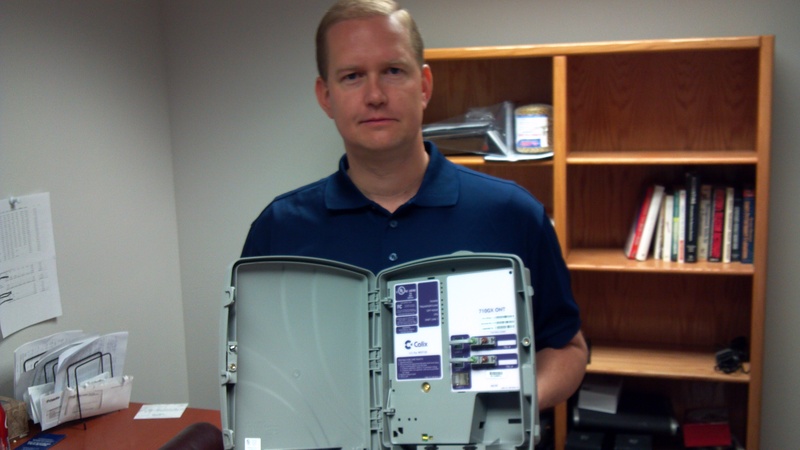 Matt Farr, Engineer and Operations Manager for Direct Communications in Idaho, shows a typical Calix ONT that is installed on the side of a home to convert the fiber light signal to Ethernet and phone service. This story was also published in the Idaho State Journal, Sep 12, 2012. Click on the link below to read the ISJ article. Good job to all the techs and crew involved, including Jason Garner, Brent Moss (now retired) Brad Medinger, Lucas McHargue, Phil Pratt, Steven Robinson, and the many others who invested several years of their lives working through mud, snow and wind to bring fiber broadband to the folks in Arbon. Refer a friend and get $100. As families head back-to-school this month, people will be thinking seriously about their internet service reliability, and now may be a good opportunity for you to tell your friends about the superior quality of Direct Communications High-Speed Internet, and give them your referral card.If they sign up for Directcom Broadband, you will receive a $100 credit, and your friend will get a month of service FREE. Refer as many friends as you like—you may never have to pay for internet service again. Download a refer-a-friend card here. Direct Communications has a Facebook page exclusively for our Idaho customers, and we want you to join our group. Facebook is a great way for you to stay in touch with us for upcoming changes, immediate notifications, instant updates, specials and free stuff, and helps us keep in touch with what our customers need. A lot of improvements that we have made over the past couple of years have come from customer suggestions on facebook, which we welcome. 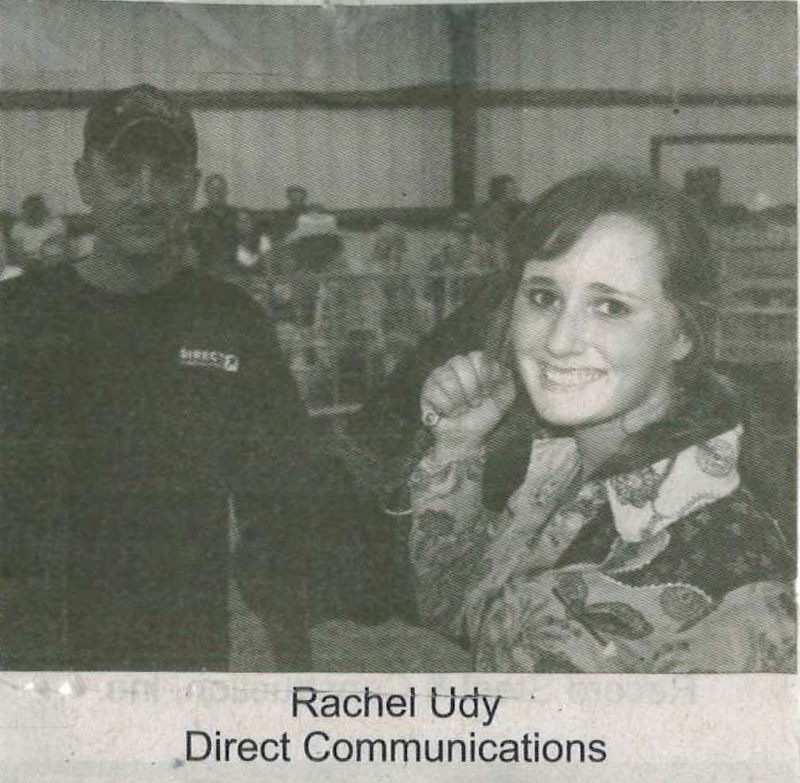 Rachel and her steer with Kip Wilson at the Power County Fair 4H Auction. If you previously subscribed to this list last year, please do so again, as this application has been recently modified and you will need to re-register your email to get onto the new list.